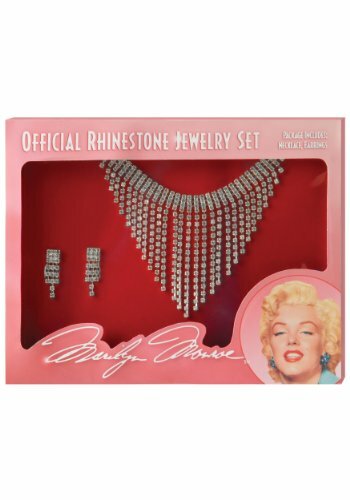 It's no secret that Madonna was an admirer of Marilyn Monroe, and for her 1984 video for the hit song "Material Girl", she was heavily inspired by the fashion and dance routine in the song "Diamond's Are a Girl's Best Friend" - Monroe performed the routine in the 1953 movie Gentleman Prefer Blondes. This leads me to a unique and impressive 80s fancy dress costume idea. There is no shortage of Madonna costumes available to buy, but few people think of the iconic pink dress as a costume idea. Of course, the outfit can also be used for 1950s style dress-up, too. Simplyeighties.com is a participant in the Amazon EU Associates Programme and ebay Partner Network. These are affiliate advertising programmes designed to provide a means for sites to earn advertising fees by advertising and linking to amazon.co.uk and ebay sites. The Marilyn Monroe Pink Dress costume shown here is available in X-small only from Amazon.com. The item is also available at the UK store, but only in X-Small for some reason. It's the only costume I could find, with every other option being a white dress. The jewellery and wig are not included, but the accessories further down this post match the style well. As already mentioned, I highly recommend searching ebay, as there are many top suppliers selling this costume on the site, and the prices are lower than on Amazon. If you're on a tight budget, then you may want to reconsider creating the Material Girl costume, as the complete look with all of the accessories will be pretty expensive. 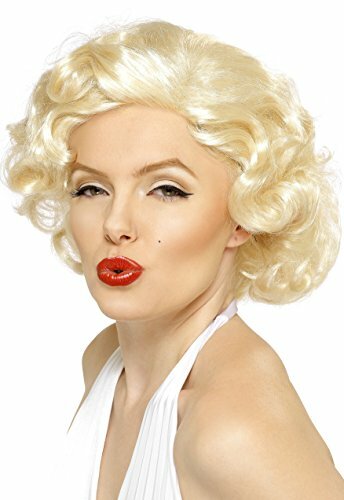 However, if you really want to create an impressive and unique, head-turning fancy dress outfit, then this look is absolutely the right choice, and is suitable for 1950s, 1980s, retro, movie and hollywood themed parties and events. More Madonna Costume Ideas U.S.
80s Costume Ideas for Women U.S.